The countries of the world have agreed to reduce carbon emissions significantly by 2030. Although this agreement is designed to limit the forecast rise in global temperature I am more enthusiastic about the fact that it will result in reduced consumption of non-renewable hydro-carbons. But now comes the hard part. How to decide which actions will produce the maximum benefits for the least cost and economic disruption. I’ll start by listing a few things that I don’t think should be priorities. Roof-top solar panels: there will be a great temptation for governments to jump on the roof-top solar bandwagon. It sounds like such a great idea – let people generate their own power. And many, many countries are doing it so it must surely be a good thing – right? There is nothing evil about roof-top solar panels. But an objective analysis of all the possible ways that renewable energy can be generated would have to conclude that providing financial support for roof-top solar is one of the most expensive and least effective approaches available. On the other hand I am an enthusiastic supporter of utility scale solar developments between latitudes 35 north and south such as those built over the past few years by Kauai Island Utility Co-op. Solar energy in the equatorial/subtropical regions is probably the best source of renewable energy available. The reason I don’t support the development of solar energy north or south of 35 degrees is not because there isn’t solar energy potential at higher latitudes. Obviously there is. The problem is that at higher latitudes the electricity demand usually peaks in the winter and there is significantly less solar energy available in the winter outside the equatorial/subtropical regions. At 35 degrees winter insolation is theoretically about 75% of summer. At 45 degrees the ratio is 66%. But actual generation is much, much less than that because in the winter the low sun angles mean that nearby trees, buildings, and hills place the solar panels in the shade for much of the day. So, for example, in Germany the winter solar generation is 1/10 the summer generation. Wind: There is no doubt that the extensive development of wind energy is already and will continue to be one of the cornerstones of a sustainable energy environment. The increasing capacity of individual turbines and the decreasing cost/MW make wind energy a very attractive option – when it is available. And that is the big problem with wind. Although it is true on a global scale that “the wind is always blowing somewhere” it is a fact that calm winds can extend over very large geographic areas for hours or days at a time. It is not uncommon for wind generation to be at less than 10% of nameplate capacity for 30% of the hours in a year. Dealing with the variability of wind will be perhaps the biggest challenge to be overcome in order to meet the carbon emission reduction targets envisioned in the COP21 agreement. Until some progress is made in this regard the financial support provided to wind developers should be significantly reduced. 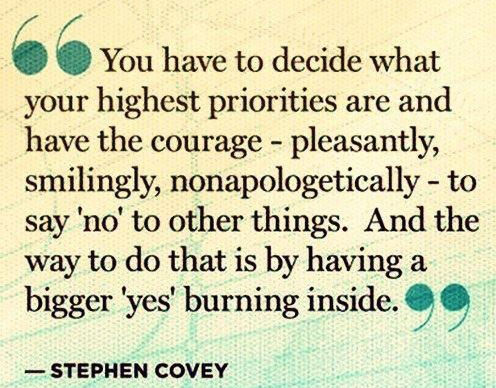 So much for what should not be priorities. It is clear that solar and wind can be developed to whatever scale is required and that the cost to do so is not unreasonable. The only remaining problem is how to handle the times when solar and wind are not available. The vast majority of financial support and Research and Development should be directed towards addressing that single issue. In equatorial and subtropical regions this problem is well defined and can be addressed through energy storage systems that exist today. Solar energy is very predictable and by building enough solar generation to simultaneously meet daytime needs and charge a storage system it is possible to release energy from storage to meet evening and night demand. The Gemasolar plant in Spain is already providing 24×365 electricity generation using only solar energy. The proposed Kapaia power plant will use solar energy stored in batteries to provide electricity in the late afternoon, evening and through the night. The Noor1 plant in Morocco will have the largest molten salt storage capability in the world when it is completed in 2017. These positive developments in short duration energy storage should be encouraged by providing the same kinds of financial and regulatory support currently used to encourage wind and solar developments. Outside the equatorial/subtropical regions the problem is much more difficult. Wind generation can never truly replace fossil fuel or nuclear generation – it can only displace those traditional sources. By that I mean that regardless of how much wind capacity is developed there will be times when there is simply no wind energy to be harvested. During those times dispatching fossil fuel generation is the only way to keep the lights on. Energy storage systems will help cover short duration periods of calm winds but they will be unable to solve the problem completely anytime soon. Roger Andrews and Euan Mearns have done a lot of detailed analyses on large scale energy storage scenarios and have demonstrated quite convincingly that the scale of storage required to truly address calm winds is impractical. I would have to agree. Development of reliable and renewable energy sources. This would include Geothermal Resources such as the potential 1.6 GW under the Salton Sea and the estimated 25 GW of hydro-kinetic energy available for development in the U.S. alone. These reliable sources of electricity should receive financial support through R&D grants, accelerated capital write-offs and feed-in-tariffs in recognition of their superior value as compared to wind. It would also be possible to implement additional generating capacity at large scale hydro developments that could be used for short durations when winds are calm in a concept I have referred to as unpumped storage. Demand response. Post-Fukushima Japan has demonstrated the true power of demand response with peak demand being reduced by as much as 10-15% through the direct action of individuals and businesses. The key ingredient to success is a broad engagement of the population through advertising, public service announcements, and educational programs. It is clear that people will modify their use of energy if they are mobilized when electricity is in short supply. Another mechanism for reducing peak demand over the long term would be the widespread use of geoexchange technology in preference to traditional HVAC systems. Requiring that geoexchange be integrated into any new commercial and industrial buildings would be a very low cost and effective way to significantly reduce demand. Development of a capacity market: I stated before that wind generation displaces fossil-fuel generated electricity. That would not be particularly problematic except that it seriously impacts the profitability of operating those fossil-fuel plants. In Texas utilities took out a full page ad describing the deterioration in reserve capacity that the increasing penetration of wind energy is causing. In Germany the development of a “grid balancing market” is helping to deal with fluctuations in wind output but there are problems with this approach. Although the idea of paying for a duplicate set of generation assets is not appealing it might well be the most effective way to increase the amount of renewable generation that can be developed. How quickly Can These Measures Be Implemented? Building code changes to encourage or require the use of geoexchange can be put in place almost immediately. The same is true of changes to the operating practices of Independent System Operators so that organizations storing energy for later use are not charged a grid transit fee. A feed-in-tariff (FIT) for electricity produced from storage and for reliable renewables such as geothermal and hydro-kinetics would take a bit longer but can certainly be available in less than a year or two. Public education and awareness programs with real-time indications of energy use can be delivered in the same time frame. Development of a capacity market will require investigation and a thorough analysis of options. But an early commitment to a capacity market would send a positive signal to the operators of the fossil-fuel generating plants that will be needed during the transition to more dependence upon renewable energy sources. The COP21 agreement represents an historic opportunity to make real progress towards developing a truly sustainable energy environment. But it is quite likely that political leaders will continue to support strategies that are not optimal and could encounter very significant barriers as the amount of renewable generation increases. 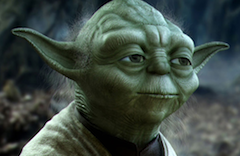 To quote Yoda “if you choose the quick and easy path as Vader did – you will become an agent of evil.” That may be a bit dramatic but I think the danger is real. As we move forward with the development of renewables the difficult challenges regarding energy storage need to be addressed as a priority. There is a consensus in many countries that burning coal to generate electricity is something that needs to be phased out as quickly as possible. The Clean Power Plan in the U.S. has that as one of its most likely outcomes and there have been explicit commitments to retire coal-fired generation plants by governments all over the world. When considering the options for replacing the electricity generated by coal-fired plants there are two characteristics of these plants that need to be considered. The first is that coal is the cheapest and most abundant non-renewable fuel available. The second is that coal-fired plants are very reliable – more reliable even than natural gas-fired plants because they can stockpile fuel on site so that they are not subject to pipeline congestion problems. And getting approval to build new pipelines is not easy these days. One of the strategies for replacement of coal-fired generation is the development of more wind and solar power. This approach is not without its problems because of the inability to store energy from these sources which are often not available during peak demand times of the day. 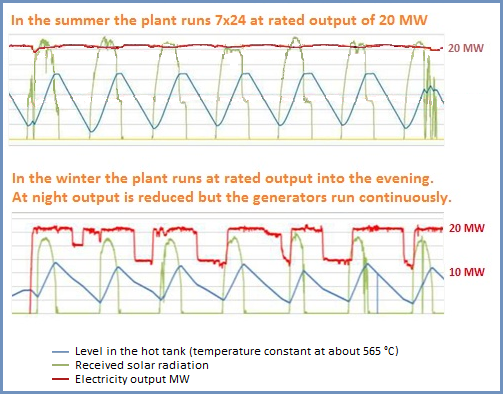 Matching the 24×365 reliability of coal-fired plants using renewables would be very challenging. When you think about it the only thing wrong with coal-fired plants is the fact they burn coal to produce the steam used to drive turbines. If a renewable source of heat could be supplied to these plants they could continue providing reliable power and the negative aspects of burning coal would be eliminated. In jurisdictions where renewable energy sources have been developed extensively the disconnect between electricity production and system load is starting to become problematic. For example, on many circuits on Oahu the amount of electricity generated by roof-top solar panels actually exceeds system demand mid-day some days. Although there is plenty of potential to expand solar power in Hawaii from a resource standpoint it will not be possible without the ability to time-shift production to match demand through the use of energy storage. As a result solar panel permits have been falling for a number of years and hit a 5 year low of 100 permits for the month of January, 2017. In Denmark, where the nameplate capacity of wind turbines is approximately 1/3 of total generation capacity in the country, wind generation frequently exceeds domestic demand which requires the export of the excess to neighbouring countries. 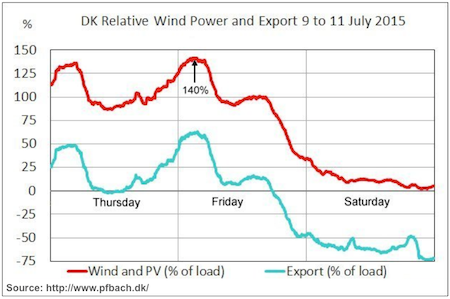 Obviously if all of Denmark’s neighbours also developed a similar amount of wind capacity there would be nowhere to export the electricity to. Texas and parts of the American Mid-West are facing similar issues. Fortunately, there is a combination of field-proven technologies available today that can solve both problems. I will refer to this combination of technologies as “Thermelectric Power”. Thermelectric Power provides a large rapid response load which can be used to stabilize the grid when there are variations in renewable energy generation. It also stores renewable energy by converting it to thermal energy. The mechanism for storing the energy is molten salt – a mixture of 60 percent sodium nitrate and 40 percent potassium. Thermal Energy Storage (TES) systems using molten salt have been used for more than 10 years as a way to extend the hours that Concentrated Solar Power (CSP) plants can deliver electricity. The initial research was done at the Sandia National Solar Thermal Test Facility in New Mexico. The first large-scale commercial application of the technology was at the 50 MW Andasol CSP in Spain which came on-line in March, 2009. The Solana CSP plant commissioned in the fall of 2013 in Arizona includes the largest TES facility deployed to date, able to produce 280 MW of electricity for up to 6 hours after sunset. Excess wind or solar generated electricity can be used to heat the molten salt to a temperature of more than 1,000 degrees Fahrenheit using industrial electric heating elements. 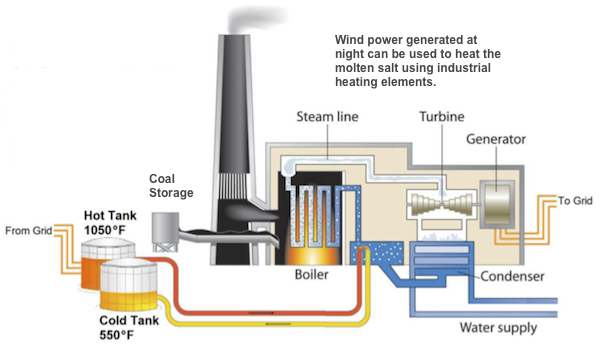 During peak demand periods the molten salt would be circulated through a heat exchanger to transform water into the steam required to power conventional steam turbines. The infrastructure to support the conversion of thermal to electrical energy by means of steam turbines exists at every coal-fired electrical generating station which allows the re-use of these very expensive components with only minimal modifications. Both the heating of the molten salt and the use of molten salt to generate electricity using steam turbines are proven technologies that are deployed today. By integrating Thermelectric Power into an existing coal-fired generation station it would be possible to phase out the burning of coal as more and more wind or solar generation is developed. This approach would also maintain energy security because it would be possible to switch the power source back to coal for short periods of time to deal with extended periods of calm winds. This dual source approach minimizes both CO2 emissions as well as any risk of power failures on a grid where the primary sources of electricity are renewable. The cost to implement molten salt storage at an existing coal-fired plant would be $250-$350/kwh. This is less than the cost of utility scale battery storage. More importantly molten salt storage does not suffer degradation in capacity over time. The molten salt can be heated and cooled over and over again so that the service life of this technology is measured in decades. When considering the relative cost of energy storage systems it is necessary to understand what the “worst case” scenario is. Electricity is of such fundamental importance to modern society that power outages lasting more than a few hours can be literally life-threatening. In latitudes north of about 35 degrees wind power will be a critical energy resource at peak demand times in the evening and night especially during the winter. That reality demands that we consider what the “100 year calm” looks like. It would certainly be 3-5 days. What if it is 1-2 weeks? Energy storage capacity to handle a two week calm using any technology known today would be impossibly expensive. Molten salt storage together with the ability to revert to burning coal is really one of the only viable solutions. Thermelectric Power could transform the more than 500 coal-fired generating stations in the U.S. into “green” energy sources. The alternative, being actively pursued by organizations such as the Sierra Club, is to simply shut coal plants down. As rate-payers, tax-payers, and advocates for a sustainable energy future we have a choice to make. We can demand that coal plants be decommissioned and dismantled at a cost of billions of dollars. That choice would require the construction of natural gas-fired plants or nuclear plants with approximately the same generation capacity in order to handle peak loads in the evening when winds are calm – construction that would require more billions of dollars and would continue to emit vast amounts of CO2 annually. Or we can consider converting coal plants to Thermelectric Power which would dramatically reduce the amount of coal being burnt to generate electricity. Coal would only be used as a fuel when electricity generation from renewable sources was not available for extended periods of time. But the flip side of that is that coal could be used in that way to back up renewable generation. As a result we could develop as much wind and solar energy as we wanted without worrying about dealing with excess when demand is low and without worrying about destabilizing the grid. A future fueled by renewable energy is possible using technology that is available today. We just need to want it enough to make it happen.